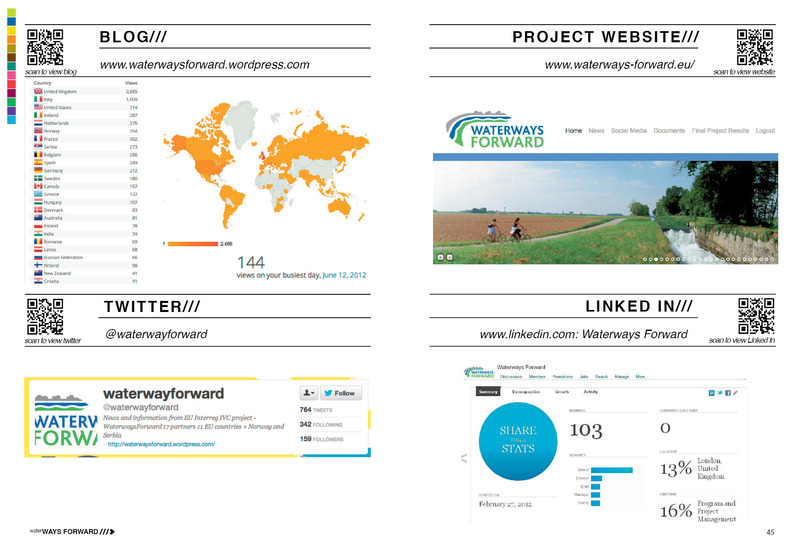 WATERWAYS FORWARD BLOG 2012: Some facts and figures! Since Feb 25th 2012 this blog has received over 11,500 views! In 2012, there were 104 new posts. There were 572 pictures uploaded……that’s about 2 pictures per day. The busiest day of the year was June 12th with 144 views. The most popular post that day was East London’s Waterway Cultural Revolution – Heritage as driver for economic growth. Some visitors came searching, mostly for waterways forward blog, waterways forward, waterways forward project AND waterways forward wordpress. From 108 countries worldwide! Most visitors came from The United Kingdom. Italy & The United States were not far behind. 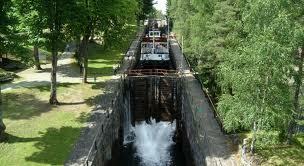 The most commented on post in 2012 was EU2020: Inland waterways contribute to environmentally sustainable transport. Thanks to all our followers and the Waterways Forward blog will continue in 2013 with further news, views and information on Europe’s inland waterways. 22 shopping trolleys, three bikes, four tyres and 304 glass bottles – all from a River Thames clean up organised by Kingston University students and helpers. Diving into the unknown depths of the River Thames, Kingston’s students organised their first underwater river clean in Kingston. The team also raised an impressive £50 through a bucket collection outside The Ram for the Royal National Lifeboat Institution – ‘the charity that saves lives at sea’. Although a large amount of rubbish was collected, it was from a very small area of the river. They aiming to run the project again in Spring 2013. A European Riverprize is to be awarded annually to reward best practice river basin management. The award will be launched in a partnership between the International Commission for the Protection of the Danube River (ICPDR) and the International River Foundation (IRF). It will be open to all organisations engaged in the sustainable management of Europe’s river basins. The prizes are designed to give recognition, reward and support to organisations that have developed outstanding and visionary programs in sustainable river basin management. The establishment of a European Riverprize is one of the key elements of the partnership between ICPDR and IRF. “The European Riverprize comes at a time of unprecedented interest in river basin and freshwater management in Europe with landmark instruments such as the Water Framework Directive aimed at attaining a healthy status of all EU waters by 2015 and the Blueprint to safeguard Europe’s water resources to be launched in late 2012. And what better year to award the first prize than in 2013 the UNESCO year for cooperation in water” stated IRF’s Matthew Reddy. “The ICPDR has a proud history of international cooperation which we seek to extend through the formation of the IRF Europe office and the European Riverprize” says President Stalzer. “All nations of the Danube have contributed to and benefited from transnational boundary cooperation in river basin management and through the European Riverprize we can appropriately acknowledge and celebrate such achievements after many years of hard work” Stalzer said. The all‐European judging panel will assess applications based on a documented river management framework, evidence of social and economic gains, an integrated approach to river management, a long-term vision and demonstrated, outstanding achievements in river ecology. “We have assessed hundreds of applications from every continent and consistently the European applicants demonstrate integrated approaches to river basin management that are exemplary” said Professor Paul Greenfield, Chairman of the Thiess International Riverprize judging panel. “With a pedigree of previous international winners including European rivers such as the Mersey, the Thames, the Drome and the Danube there is every chance that the European winners will also take out the International Riverprize” said Professor Greenfield. Riversides that are unprotected by flood defences are home to more diverse plant communities, according to a new study. According to the researchers of the study, ‘soft’ approaches to flood management, which work in harmony with natural processes, could help promote biodiversity in flood-prone regions. 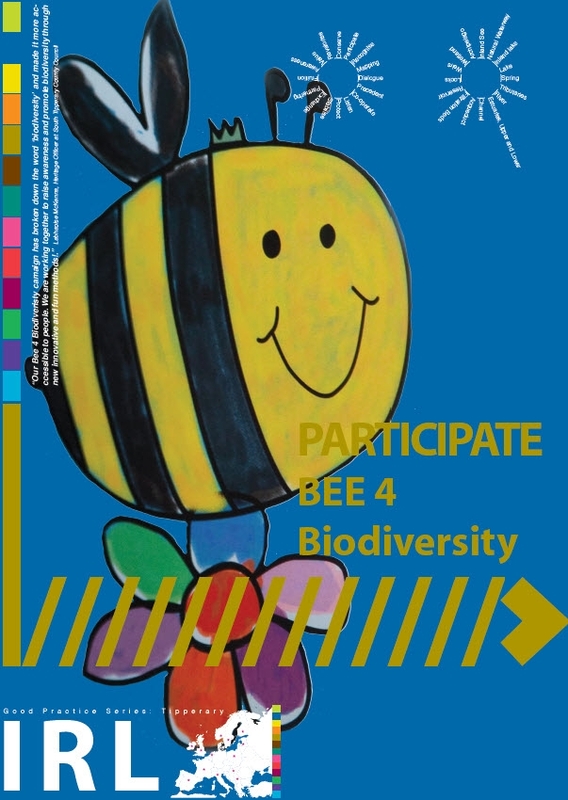 Many studies have highlighted the benefits that biodiversity provides for human populations. These are most often described in terms of ecosystem goods and services, such as food, medicine, pollination of crops and regulation of climate. Although previous studies have attempted to understand the effect of dams on biodiversity, the effects of flood defences are less well understood. This study carried out plant surveys at 11 sites alongside rivers in Yorkshire, UK. Six sites had flood defences built between 1972 and 2006, and five sites had no flood defences. To quantify biodiversity at these sites, the researchers used two different types of calculation: one that used survey data to produce a measure of the number of different species at each site (species richness), and one that measured the difference in biodiversity between sites with and without defences, or with old and new defences. Using the first measure, they showed that species richness was twice as high for vegetation at sites that did not have flood defences. Species richness did not seem to change with the length of time that the flood defences had been present. Using the second measure, they showed that there were large differences between the types of plant species at sites with and without flood defences. The same was true for the types of plants species at sites with old and new flood defences. However, it was unclear why such different communities were present at different sites as all were home to species that could tolerate drought and disturbance. These results support a theory called ‘intermediate disturbance hypothesis’, which suggests that sites that are either frequently or never disturbed will be less diverse than those that are only sometimes disturbed. Sites with no defences will sometimes flood, wiping out plants and providing space for new species to invade and ultimately, according to the researchers, lead to higher biodiversity. Sites behind flood defences will rarely, if ever, be disturbed by flooding and so will have lower levels of biodiversity. Based on their findings, the researchers suggest avoiding engineered structures that cut floodplains off from rivers and streams completely. Instead they support sustainable flood management approaches or ‘soft defences’ that work in harmony with natural processes to allow intermediate levels of flooding. Using subsidies, areas of agricultural land could, for instance, be designated as washlands, which are areas that are periodically flooded by rivers or streams, for environmental benefit. Source: Pettifer, E., & Kay, P. (2012). The effects of flood defences on riparian vegetation species richness and abundance. Water and Environment Journal. 26(3): 343-351. DOI:10.1111/j.1747-6593.2011.00294.x. 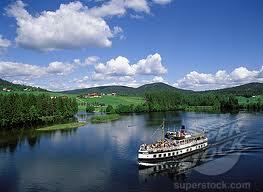 Nowhere else can the diversity of Norway be experienced better than on a journey through the famous Telemark Canal. It links the archipelago south of Oslo, with the mountains in the hinterland and on its inauguration in 1882 it was hailed as the “eighth wonder of the world”. From Dalen and Lårdal (72 meters above sea-level) you can take a trip with one of the old local canal-boats or go along in your own boat or canoe. Using 8 locks in 18 lock chambers you can go from the foot of the Hardanger mountain plateau and all the way to the open sea. Telemark County Council – Waterways Forward partner – has been working to create a network from the fjord areas to the mountain areas with stakeholders who are linked in some way to the waterways from the coast to the mountains in Telemark county of Norway. It has been achieved through intensive dialogue and through the creation of a regional park to involve stakeholders for a management structure. The creation of the regional park was identified as an example of ‘good practice’ during the Waterways Forward project development. To read the full good practice click here. Telemark is also the most important fruit growing area of ​​Norway. Apples ripen very well in the long days of summer . They feed the beavers that are in the waters. The Beaver has its natural habitat in and alongside the Telemark Canal. There has been a lot of research on the beaver and its habitat in the area. Local companies organise safaris to see both elk and beaver in Tokke County located in the middle of Telemark. MareTV accompanied the research team at the University of Bø in their nightly hunt for the animals. Once caught he young beaver cubs are released back into the landscape after a microchip is fitted for tracking. To view footage of the canal and the beaver research follow the link below. 2 new ways to connect to Waterways Forward! 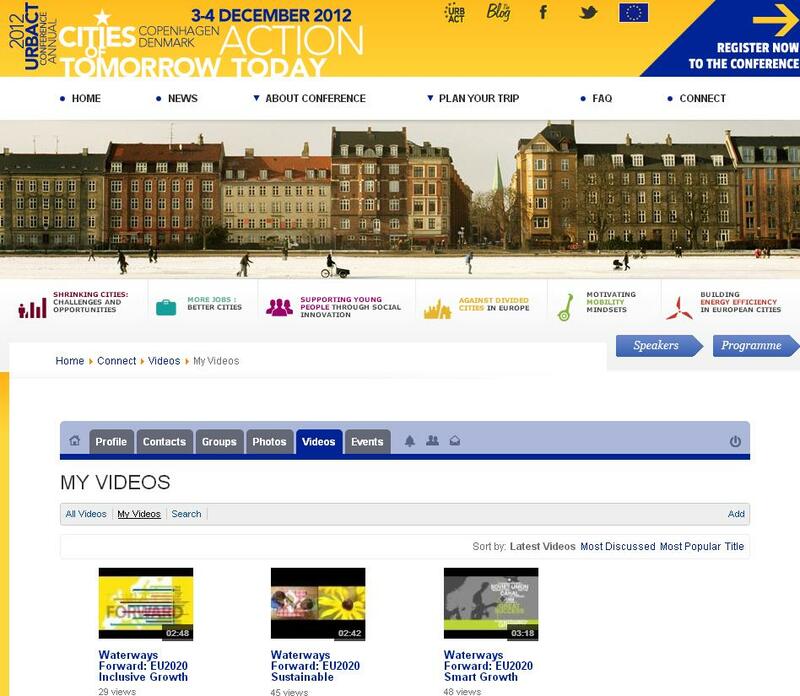 via the Urbact Conference 2012 site http://www.conference2012.urbact.eu/ – sign up in the ‘Connect’ section of the website and start to network and participate in dialogues with other participants. 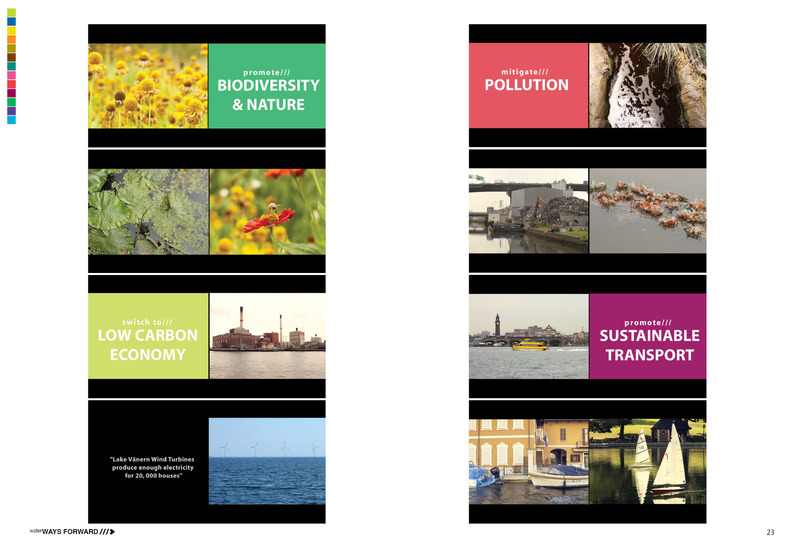 Here you will find links to the 3 Waterways Forward videos specially commissioned for the WF final conference exhibition – demonstrating how waterways support the EU2020 agenda for Smart, Sustainable and Inclusive Growth. 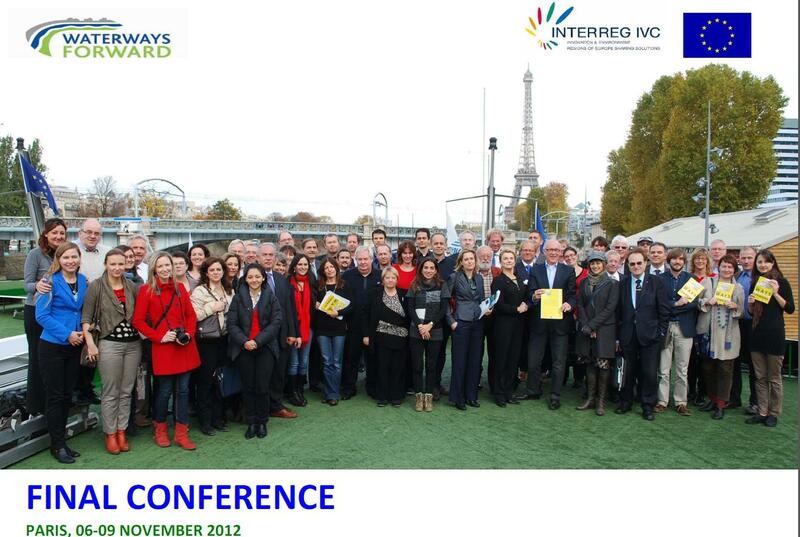 Waterways Forward Final Conference – Paris. “Inland Waterways have under-exploited potential for regional development. Their potential is not only for freight transport and creating multi model transport hubs along rivers and canals, but also for job creation, linked to new and unique environments for housing and leisure. In the past 3 years the 17 Waterways Forward partners have worked intensively, to capitalise on existing knowledge and experience. This will hopefully promote a strong commitment to implementing the ideas developed by the partners at regional level. All the project final documents were developed and designed by Landscape Interface Studio, Kingston University who have worked closely with Canal and River Trust throughout the project to deliver communication and dissemination of the project. LIS developed an interpretive analysis of the project and provided an invaluable interactive communication strategy to suport the ambitions of the WF project. 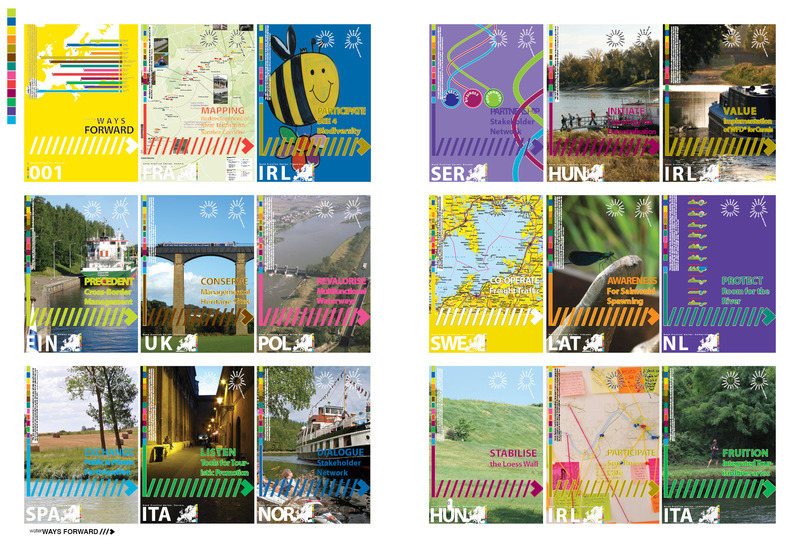 To access all the project final outputs – documents including the Final Policy Recommendation, short-films, catalogue, good practice posters and banners visit the WF website http://www.waterways-forward.eu/ and follow link to Final Project Results. Johannes Hahn, Commissioner for Regional Policy made a speech celebrating the first year of the EU Strategy for the Danube region at the First Annual Forum of the EU Danube Strategy in Regensburg. This Annual Forum, organised in cooperation between the Government of Bavaria and the European Commission, is the first meeting of its kind since the launch of the EU Strategy for the Danube Region in 2011. Entitled “How can the Danube Region help build a more competitive Europe?” the conference encouraged reflection on the potential contribution of the macro-regional perspective to Europe’s growth. A solid platform for long-term cooperation has now been put in place. Better cooperation at operational level in the 11 Priority Areas – here is now a clear framework for all the countries of the Danube to tackle shared issues and exploit common potential together. A number of concrete projects which have started in many priority areas. Visible progress on transport – Danube Bridge between Bulgaria and Romania and are now very close to removing an important bottleneck on Corridor IV. Last June, the Danube Region Ministers of Transport adopted a declaration on the maintenance of the Danube waterway, committing themselves to concrete measures to maintain good navigation conditions as much as possible. The Danube Business Forum created. The first forum in November 2011 brought together 300 SMEs and over 200 business-to-business meetings took place. The second forum has just taken place two weeks ago and a third one is already scheduled for 2013. The main concern relates to patchy participation in the coordination work – strong participation from all countries in all priority areas is required. The whole point of the strategy is to design and implement common policies, shared by all. How can cooperation mechanisms be improved and how to integrate the Danube dimension more systematically in our policies at regional, national and EU levels. Proposals to ensure we make the most of the next programming period of Cohesion Policy are required. 2013 will be a key year in this process as negotiations start on Partnership Agreements and Operational Programmes. The Danube Region is home to more than 115 million people. The Danube’s catchment area is shared by eight EU Member States and six non-EU countries. The part of the region located in the European Union makes up one fifth of the EU’s territory and the region’s economy, competitiveness and wellbeing are intricately linked to that of the Union as a whole. A second seminar to support development of a local community river plan – The River Suir Community Action Plan – is taking place in Carrick-on-Suir, S Tipperary, Ireland. A number of short talks on a range of river-related topics will be presented, and there will be specialists from the various bodies that have responsibility for different aspects of the river on hand to answer any queries. Topics include, boating on the Suir, fisheries, biodiversity, archaeology, invasive species, community and voluntary activities, and heritage survey projects on the Suir and the Nore. 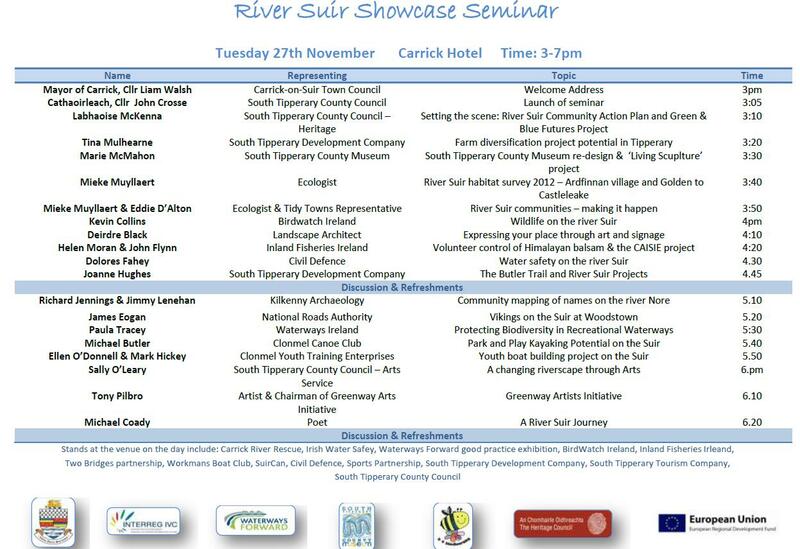 This seminar is a follow-on from the first River Suir Showcase Seminar in January, where a forum was provided to gather information and opinion on the future development of the Suir. This forum resulted in the creation of a River Suir Community Action Plan, which has now being rolled-out as part of a broader European (ERDF) funded INTERREG project called ‘Green and Blue Futures’ – previous seminars and workshops supporting the development of the River Suir Community Action Plan were funded under the Interreg IVC Waterways Forward project. The Community Action Plan also has multi-agency support, including from South Tipperary Development Company. A number of funding streams are available to persons or groups with river-related projects which can be incorporated as part of the Community Action Plan. 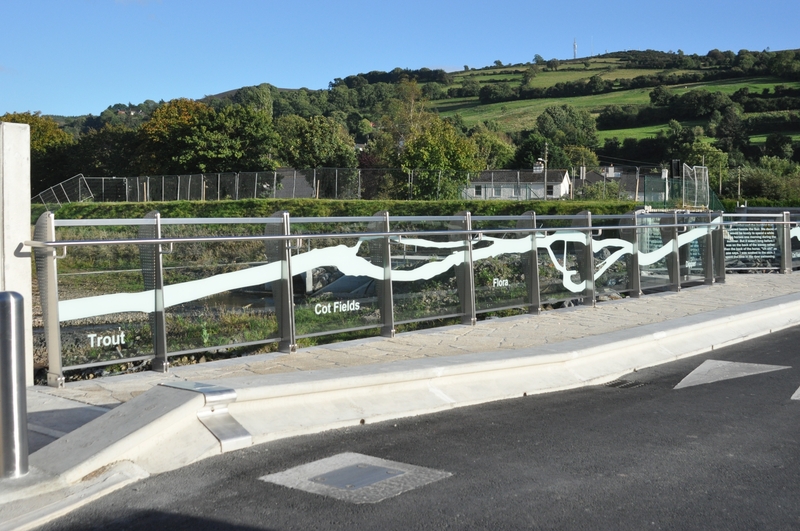 4 bridges which connect the community of Old Bridge with Clonmel reopened in September 2012. The bridges were rebuilt as part of the Clonmels Flood Relief Scheme. 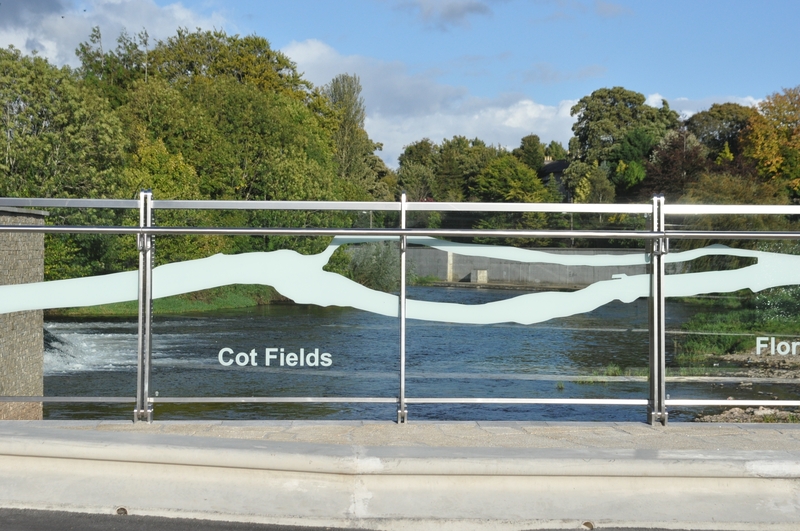 The artwork for the glass balustrades erected on the re-constructed Dry Bridge takes as its starting point the concept of creating a ‘Memory Wall’. 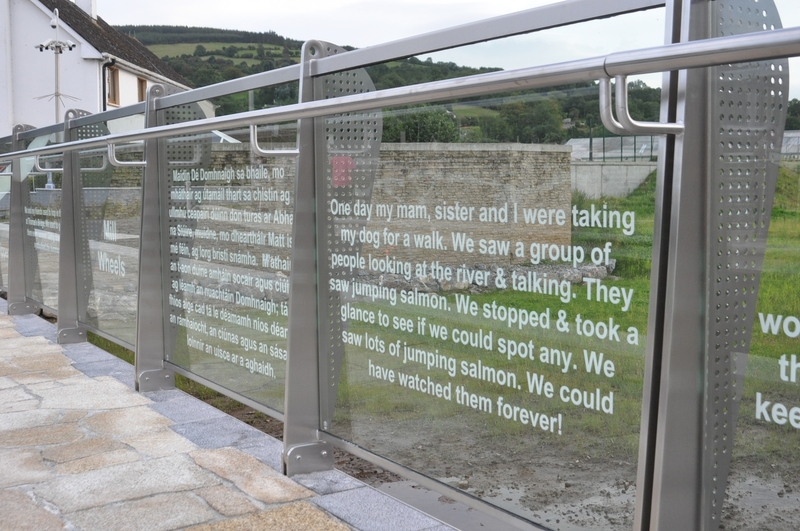 The bridge’s glass panels present stories and key phrases associated with the River Suir, its location, history and its importance in our collective memory. Etchings have been included on the glass parapets which reflect the path of the river from “Turn of Abbey” to Sir Thomas’s Bridge. Also included in the etchings are river musings and experiences. The etchings were designed by local architect Kenneth Hennessy in conjunction with local community groups. A key component of the Memory Wall is the selected stories or accounts written by members of the public during the Suir River Café held in the summer of 2011, as part of the Interreg Project ‘Waterways Forward’. The Suir River Café was collaboration between South Tipperary County Council Heritage Office, Landscape Interface Studio (LIS) and local artist Lyn Mather. It was a novel interactive Café where members of the public could observe, discuss, engage and participate in a number of outreach workshops. These stories recall experiences and memories that people have of growing up beside the river, swimming and boating on the river and generally how they experienced the river in all its facets over the years. An outline of the River Suir forms a backdrop against which experiences and key phrases are off-set. A mirror image of the river has been used on the balustrades on either side, thereby creating the sense of being part of the River Suir as it flows through Clonmel. The panels have been screen-printed with a variety of key phrases that relate to the river and its meaning to the wider community. These describe the river’s flora and fauna, history, activities, industrial heritage and modern day interventions.